Your problem is that you can’t concentrate your energies.In that case sit in lotus posture with a relaxed body or on a chair or lie down without .Place a huge picture of one God you worship in the level of your eyes but at a distance.Observe the picture very intently with love.If love becomes difficult,keep saying I love you.Let thoughts come and Go.Repeat the mantra Om Namah Shivaya with full energy and with the love you give to a child,till mantra reaches each cell of your body.Your thoughts may wonder somewhere from time to time.Do not bother.Then it will come back to the picture.The more you do it,the better.Internally,this is impacting your 6 Chakras. The 7th Crown Chakra is absent in you.It will appear when the 6 Chakra is completely active. Yogananda Paramahansa on Stress–After you are established in the meditation posture, begin by offering God a prayer from your heart, expressing your devotion and asking His blessings on your meditation.Tense and relax to remove all stress.Inhale, tensing the whole body and clenching the fists. Relax all the body parts at once and, as you do so, expel the breath through the mouth in a double exhalation, “huh, huh.”Repeat this practice three to six times.Then forget the breath. Let it flow in and out naturally, of its own accord, as in ordinary breathing. 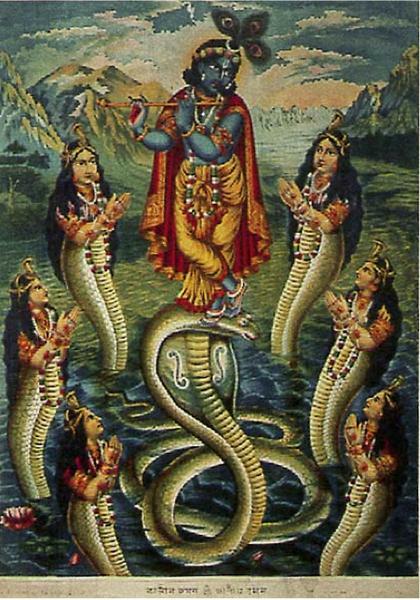 Kundalini,serpent like energy at the base of the spine risen through 6 Chakra and finally the Crown Chakra appears. Mantra for Chakra would be OM with each breath(inhalation and exaltation).Spinal Chord must be straight and relaxed not stiff.Slowly the breath will shorten up till you reach a state of having no breath and alive.With gradual practice,you can directly meditate on the third eye.If you put a dagger on your head,it should reach the base of the spinal chord.Always remember this posture while lying down and meditating or sitting in lotus posture or chair. Anāhata Śabda, the great universal sound sound Om, of which the innumerable sounds of the universe are only so many echoes. In the Katha Upanishad the body is described as the chariot, the mind is the reins, the intellect is the charioteer, the senses are the horses, and the objects of the senses their road. The self is the rider, seated in the chariot. Unless the rider has understanding and can make the charioteer control his horses, he can never attain the goal; but the senses, like vicious steeds, will drag him where they please and may even destroy him. These two currents are the great “check rein” in the hands of the charioteer, and he must get control of this to control the horses. We have to get the power to become moral; until we do that, we cannot control our actions. Yoga alone enables us to carry into practice the teachings of morality. To become moral is the object of Yoga. All great teachers were Yogis and controlled every current. The Yogis arrest these currents at the base of the spine and force them through the center of the spinal column. They then become the current of knowledge, which only exists in the Yogi. This needs to be practiced a week; then gradually increase the duration of breathing, keeping the same ratio, that is, if you repeat “Om” six times at inhalation, then do the same at exhalation and twelve times during Kumbhaka. These exercises will make us more spiritual, more pure, more holy. Do not be led aside into any by ways or seek after power. Love is the only power that stays by us and increases. He who seeks to come to God through Raja – yoga must be strong mentally, physically, morally, and spiritually. Take every step in that light. When he crosses to Svdistana,you hear tinkling of an anklet. In Manipura ,you hear the sound of bells. 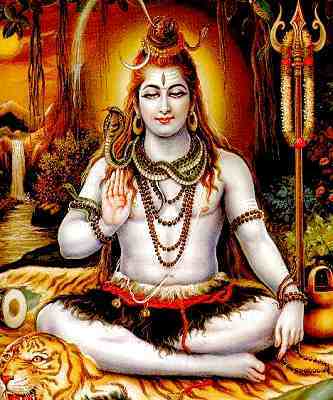 When Kundalini crosses Vishuddha,the cosmic sound OM,the first manifestation of Shiva-Shakti as Sonic consciousness. The proper knowledge and understanding of Sonic Consciousness leads to Supreme Consciousness. Stand with your feet shoulder width apart. Let your body be loose and relaxed. Close your eyes and with mouth open, inhale and exhale deeply and rapidly into the first chakra. Imagine the inhalation travelling to the pelvic region of the body, where the first chakra is located. Exhale rapidly. Breathe into the first chakra until you hear a bell, which indicates to start breathing into the second chakra. Each time you hear a bell, move this deep rapid breathing up to the next chakra. As you breathe up from chakra to chakra, your breathing should become more rapid and more gentle, so that you are taking about twice as many breaths in the seventh chakra as you were in the first. You can move, shake, tilt, stretch, or do any slight movement that will support the breathing but the feet should remain planted firmly on the floor to help grounding. Allow your feet, knees, hips and other joints to become like springs so that once you set the breathing and body into motion, the movement will become continuous and effortless. Let your awareness remain primarily with the sensations of the chakras, rather than with the breathing or the body movement. Now let your breathing turn and slowly fall back through all seven chakras down to the first chakra. Let the energy flow down by itself to include the entire spectrum of chakra energy from top to bottom, like seven colors blending into one rainbow. You have about two minutes to reach back to the first chakra. It is up to you how long you breathe into each chakra. After you finish this sequence, stand silently for a few moments before starting the next sequence. This upward and downward breathing sequence is repeated three times. If you don’t feel the energy of your chakras at first, just breathe into the area where they are located. Remember not to push the breath, rather allow the breath and body movement to be like a bridge carrying you into the sensations and qualities of the energy of each chakra. Becoming sensitive to the different qualities of each chakra comes not through force, but through awareness and patience. Thank you I am new to this and it was very helpful!